But just who determines what is best? Without any empirical data this definition can be rather subjective. After all, I may think pizza from a different restaurant is the BEST or the donuts from a different bakery are the BEST. The same can be said when it comes to best practices in payroll. The best practices for one organization may not be the same for another. It is not a one-size-fits-all concept as there are often cultural, legal, or policy considerations. For the sake of discussion, let’s use a general description that best practices are an “optimum way to perform a business process.” When we look at improving the way an operational department works, we think of it as a three-legged stool. The areas on which we focus are people, processes, and technology. While improvements in each individually will result in a better performance, it is when we focus our efforts on improving all three that significant progress can be made toward the implementation of best practices. Let’s take a look at some of the generally accepted best practices in each of those three areas. Establishing a “service” framework: Payroll and accounts payable (AP) are both at their heart service organizations. While each may have different customers, both organizations are there to support the customer and help them with their issues. A great way to do this is to create an environment in which it will be known as the place to go to get a problem solved. Encourage your team to take accountability for resolving someone’s issue even if they may not have the responsibility. The last thing you want to do is send your customer into an endless merry-go-round where they are passed from one person to another to get their issues fixed or questions answered. Ongoing assessment and training: In order to help resolve issues, your team will need an ongoing assessment of their abilities and be provided with the training necessary to be successful. It gives you as a manager the ability to affirm or change behaviors and in the end will minimize errors. 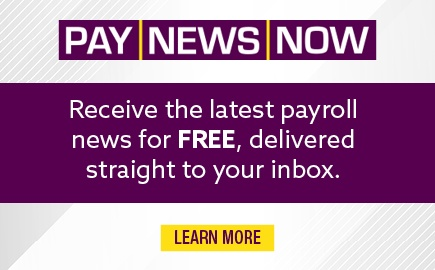 Payroll is becoming more analytical rather than being data entry-driven. Help your team to acquire the skills they need to be successful in this environment. Career planning: Helping people with their careers and providing guidance can be rewarding and fulfilling for both the supervisor and the individual. People don’t want to stay in the same job for their entire career any longer, but it doesn’t mean they can’t stay in your organization. Helping others with their careers is a good retention strategy and provides an in-place succession plan. Coaching and mentoring: Going hand in hand with the above two practices is providing guidance to others throughout their career, even if they are no longer part of your organization. Show your employees you truly care and can help them through some difficult career decisions. They will feel more committed to the organization. If they leave for other opportunities, they will certainly spread the word to qualified people about the positive work environment. Regular meetings: If you think about the prevalence of social media in people’s lives, it is all about keeping others informed. The same concept applies as a best practice in organizations. Have regular meetings with your team to share information and obtain feedback. A very effective method other than a periodic department meeting is a quick stand-up meeting before the day gets started to go over anything that happened the day before and to plan out the work for today. Event processing: Think holistically and get out of the siloes! Look at the processes in an “end-to-end” manner and not as individual pieces. This will help to prevent multiple handoffs, streamline the process, reduce recordkeeping, and have a positive impact on employees. This works hand in hand to create the “service” framework above. Standardization and simplification: Having a consistent, simple method of performing tasks creates a consistent message and prevents errors. It also supports implementations or upgrades and is often cost effective. Consolidation: If you have multiple payrolls, check runs, and pay frequencies, try to consolidate them. It drives economies of scale and eliminates duplication of effort. Zero tolerance of late submissions: This is often one of the most frustrating areas for people in a support operations area. Create a service level agreement (SLA) that outlines when information must be received in order to be included in your next run and what you will do if you fail to live up to that commitment. Doing this forces changes to bad behaviors, reduces rework, and gives you the ability to balance the workload. Exception-only timekeeping: This was a trend for many years but is one example of how best practices can change. Because of lawsuits being brought by employees claiming they have not been paid for time worked (usually during a meal break), I am seeing this revert back to positive reporting of start and stop times for not only the shift but meal breaks as well. Documentation: Having good documentation of your processes drives consistency. Keep this information electronic so that anyone on the team can easily access it. This can include a list of FAQs, forms, tools, checklists, and a step-by-step process guide. 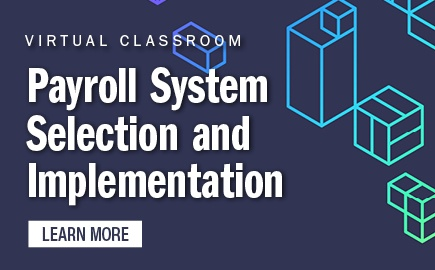 Effective controls: As payroll professionals, our mantra has always been “timely and accurate payment.” A way to ensure this is to establish a culture that focuses on effective edits and audits. Have someone on your team perform regular reviews of your processes to see that they are being followed and, if not, to immediately address it. After all, it is better for you to find your problem before the auditors do! Electronic payments: There are many possibilities to consider such as direct deposit or paycards, or if in the AP department, by using single-pay cards for your vendors. This is cost-effective and reduces the need for escheatment. From your employees’ perspective it is safer and ensures their money is in their banks on time! Encourage electronic paystubs as well. Business continuity plan: Have one in place to be able to deal with large-scale disasters but also something as small as a local power failure. Test it out from time to time. One effective way is to designate people to run a payroll remotely from their homes. Doing this reduces risk and is a way of ensuring no adverse impact on your employees. Consolidate and integrate multiple systems: Whenever possible, try to limit the handoffs of one system to another. Each time you do a handoff, you need to build in multiple checks and balances to feel confident that nothing has been missed. Consolidation makes upgrades and implementations easier to manage and helps to ensure consistency. The fewer systems you have, the easier they are to support, costs are reduced, and you have one single record of truth. Leverage system capabilities: Try not to customize your system; use the delivered product as much as possible. After all, isn’t that why you bought it in the first place? Leveraging the system avoids costly manual activities and workarounds, reduces errors, and improves cycle times. Automate those manual processes and let the system do the work. Front-end edits: It is always better to catch a potential problem than one that has already occurred. Install front-end edits for earlier detection, corrections, and less rework. It will drive higher employee satisfaction and give people the confidence that their pay is correct. Self-service: With so many advances in technology, I am still surprised at the number of organizations that are paper driven. You can utilize self-service for direct deposit updates, tax and address changes, access to electronic paystubs and W-2 forms, as well as a number of manager activities for pay or position changes. It reduces per-transaction costs and, with the proper edits, can assure accuracy. Most of all, self-service has a positive impact on customer service. The objective is to have the person input the information who has the most reason for seeing that the information is correct. Automated workflow tools: Electronically pass along the transaction for approval. It reduces per-transaction costs by eliminating the paper shuffle, drives compliance with approval levels, improves efficiency, and identifies hold ups. Imaging tools: With electronic storage costs so cheap, it makes sense to scan documents and, whenever possible, discard the paper copies. Check with your legal department to see if any of the paper needs to be retained, but you will be surprised at just how much can be stored utilizing some sort of imaging software. The benefits are the elimination of paper, easy access, and loss mitigation. Case management software: This is a great way to monitor what is driving the calls to your payroll or AP department and take steps to reduce the volume and address problems. An effective system can track trends, identify issues, and predict peaks and valleys based upon prior experiences. Metrics and real-time reports: Quoting statistician and educator W. Edwards Deming: “Without data you are just another person with an opinion.” Track the performance of your operation with real-time, value-added information. Create the ability to have 24/7 access through queries rather than waiting for the information to be sent to you. Have effective test strategies and tactics: Create standard scripts to follow each time there is an upgrade or implementation of new software. Be sure to include each area that will be affected, such as HR, benefits, compensation, payroll, etc., as each plays a key role. Have the actual users of the system perform the tasks. Gain senior-level support in order to drive the change. The need for an executive champion is often overlooked. Use data to drive your point and make a case for the change. Along those same lines, don’t underestimate the change effort and the resistance that often accompanies it. Just because it will be hard to do does not mean that the rewards are not worth it. Don’t forget about your customers. Explain what is in it for them. They really don’t care how it will benefit you but will listen intently and be more accepting of the change if they can derive a benefit. Successful organizations measure against others, focus on improvements, and identify opportunities. 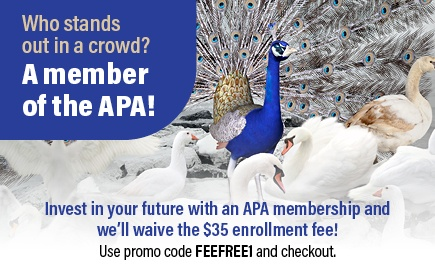 Be sure to benchmark and look to other companies, read articles, participate in your local chapters, and attend the APA’s Annual Congress and other conferences and educational events. All of these are ways to keep on top of emerging trends and pick up ideas on how to improve your organization. As you read through these recommendations, take note of how many of them have an impact on one another. Just as that three-legged stool I described, they work in tandem to support the organization and ensure stability. Dennis G. Danilewicz, CPP, is the Senior Director of Disbursements Services at NYU Langone Medical Center in New York City. He is a former APA President, received the APA’s Meritorious Service Award, a Special Recognition Award, and was named Payroll Man of the Year. 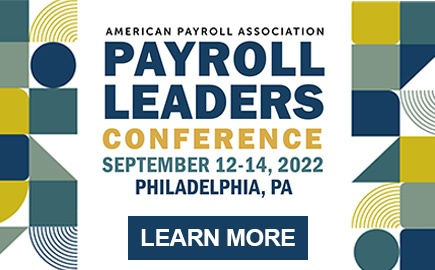 Danilewicz also accepted two APA Payroll Prism Awards for Best Practices on behalf of his departments and is a member of the Board of Contributing Writers for PAYTECH.